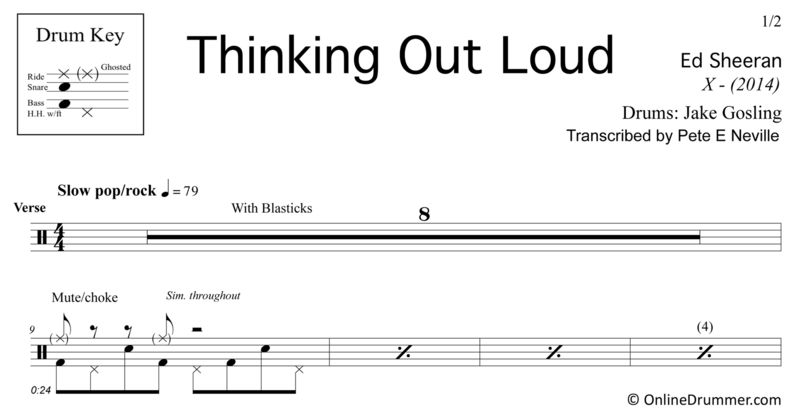 The full drum sheet music for “Thinking Out Loud” by Ed Sheeran from the album X (2014). 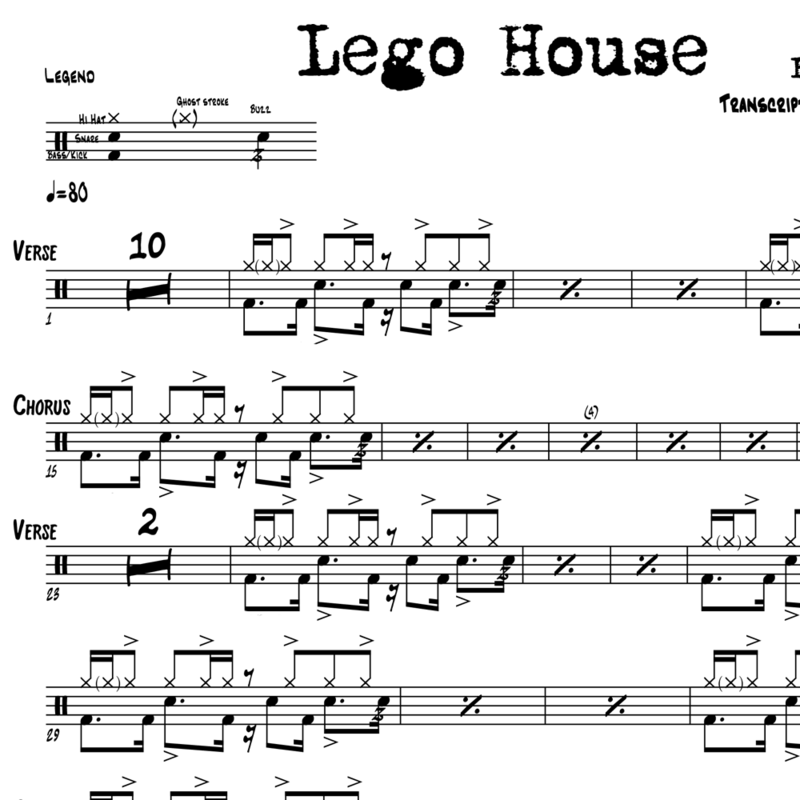 The main groove features a slick, laid-back feel with up-beat hi-hat foot strokes. Even though it’s a slow groove, the unique stroke placements can be difficult to get used to. 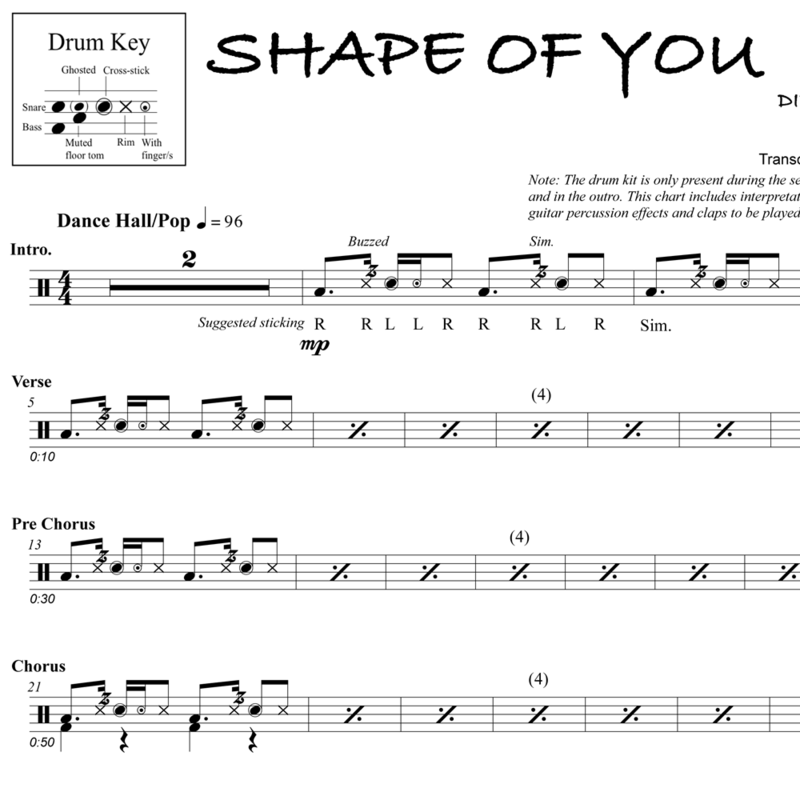 This creative groove is a lot of fun to play and a great drum part to learn.